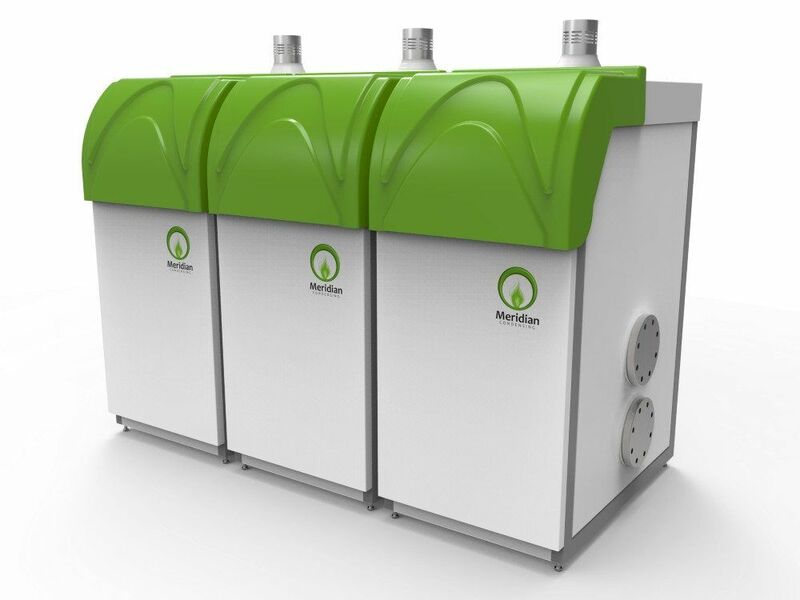 The “Greener” boiler technology utilised in condensing systems recovers latent heat from flue gases and uses that additional energy to preheat return water which can lead to gross operating efficiencies of up to 98%. 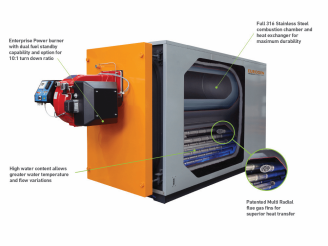 By using Condensing Technology, operating costs can be reduced by 15-20% resulting in substantial long term running cost savings. 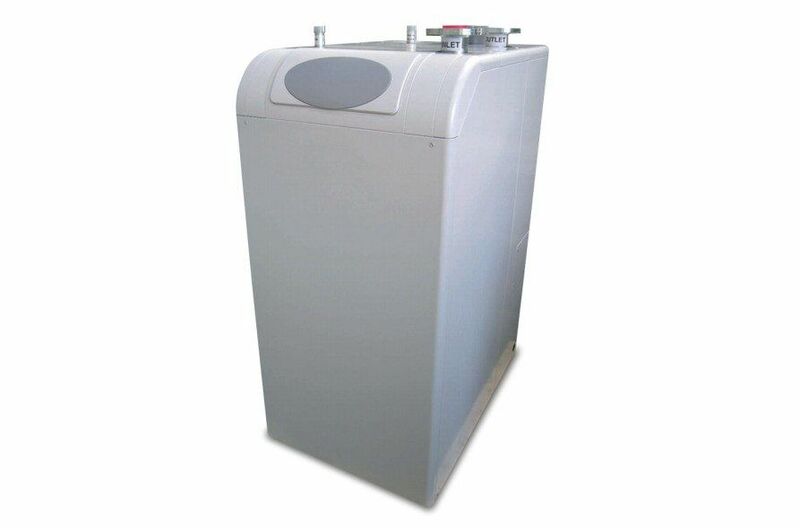 In basic terms, condensing boilers tap into the latent energy recovered when the exhaust gases condense from water vapour to liquid and also recycling the heat of combustion before it is released up the flue. 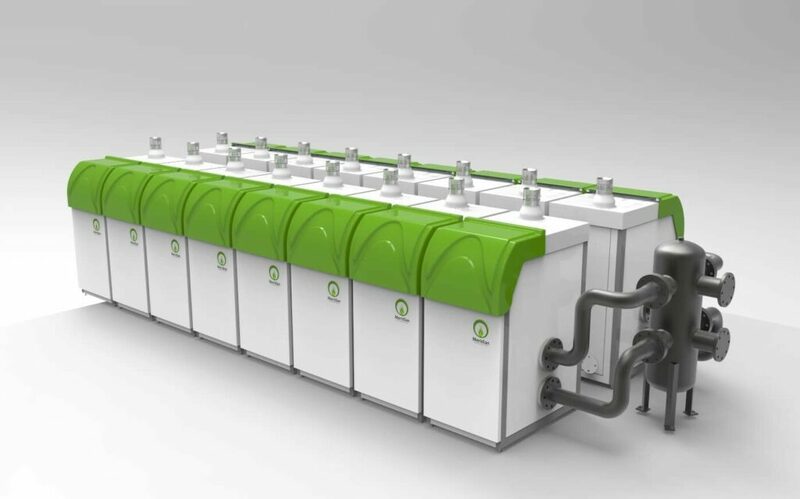 When natural gas burns the by-products are gaseous carbon dioxide and water, if the heat is removed and reused, that benefit is obvious but when the water vapour is condensed (hence the term “condensing water heaters”), even more energy is saved which tips the balance to make these boilers have a potential for a greater than 100% net efficiency. 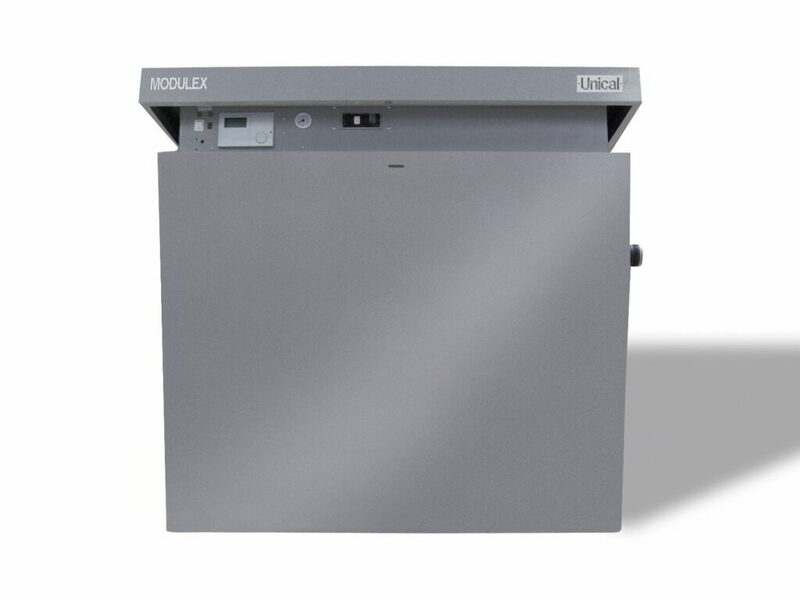 For more information on the energy-saving features of Condensing Water Heaters, read our Introduction to Condensing Boilers article. Included in the range are several options that will cover every eventuality with an economical, efficient solution. 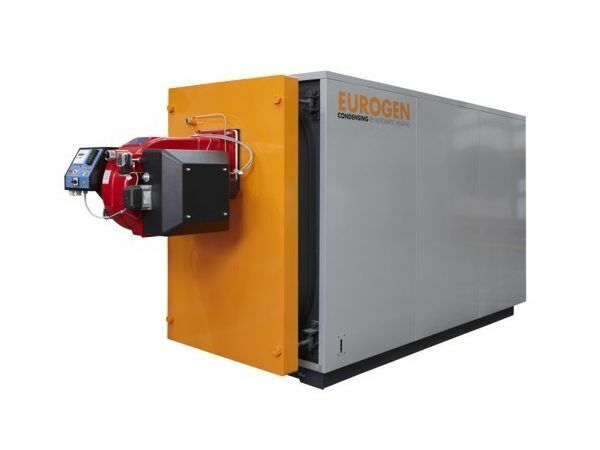 For large projects with big capacity requirements, the Eurogen range provides outputs as high as 2100kW. 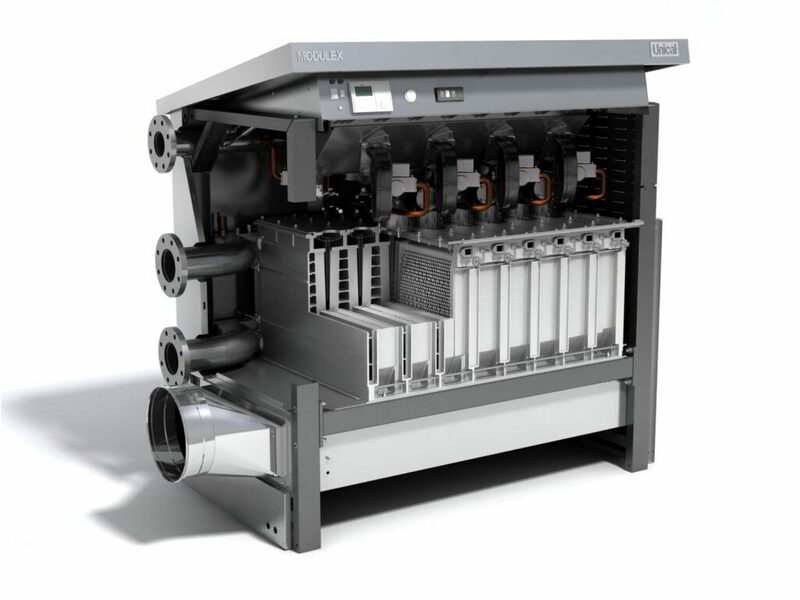 For the highest level of efficiency and up to 900kW output, the Modulex is the ideal choice. 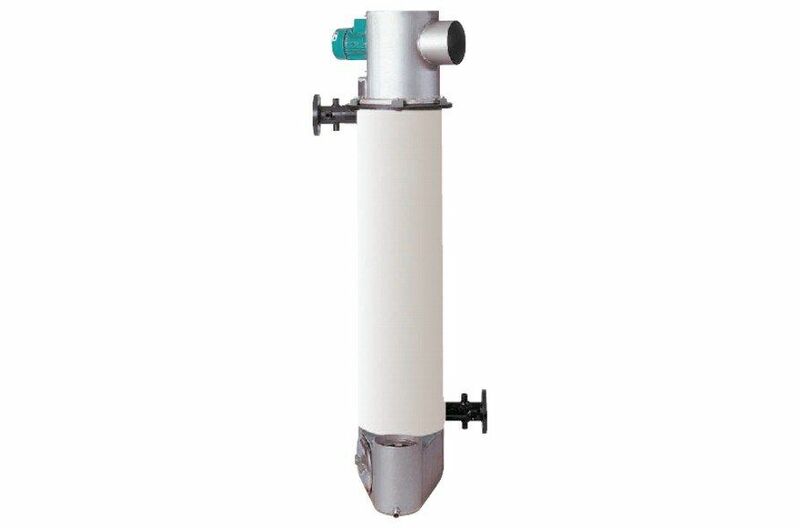 When space or access is an issue, lower output condensing water heaters are available that can be cascaded in series to have an accumulative effect. The Moorea and Meridian ranges have that feature and can also be isolated and serviced individually to avoid any costly or inconvenient down time. To download our latest Condensing Boilers brochure, please complete and submit details on the form below.